This is a one-stop book for knowing everything important about building structures. Self-contained and with no prerequisites needed, it is suitable for both general readers and building professionals. learn how to organise and design a successful project. "This very broad book does a marvellous job of drawing the reader into the world of structural engineering – from seemingly simple concepts to increasingly complex issues. It deserves a place on any architect’s or engineer’s bookshelf." Preface to the Third Edition. Introduction. 1. Loads and load paths. 2. Internal forces. 3. Structural element behaviour. 4. Advanced concepts of stress. 5. Structural materials. 6. Safe structures and failure. 7. Geometry and structural behaviour. 8. Below-ground structures. 9. Behaviour of a simple building. 10. Real structures. 11. Structural conception. 12. Structures and built form. 13. Structures in Existing Buildings. 14. A simple approach to calculations. 15. Dynamic Behaviour. 16. Progressive collapse and robustness. 17. The mathematical basis. 18. The basis for computer calculations. 19. The successful structural project. Further Reading. Index. 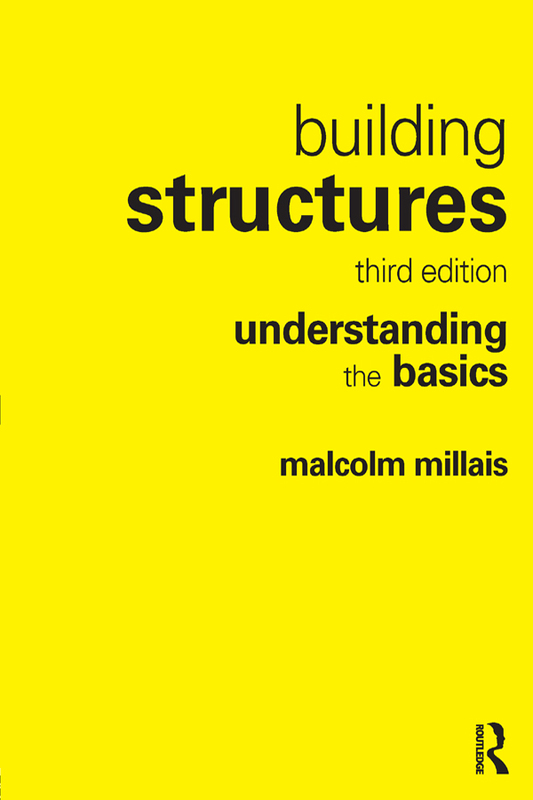 Malcolm Millais is a structural engineer.